One type of story that captivates a large portion of readers is the story of humanity. 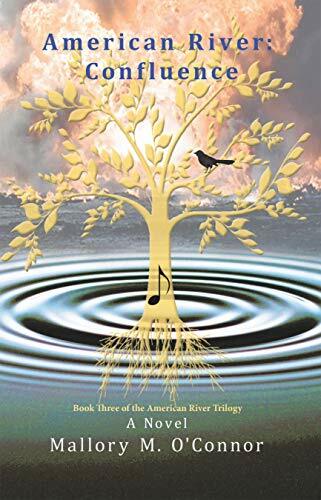 The author, Mallory M. O’Connor, excels at capturing powerful moments of human interaction in her novel American River: Confluence. O’Connor’s work involves a host of social issues—sexuality, politics, race relations—all disguised in what seems to be a book about artists pursuing their passions. 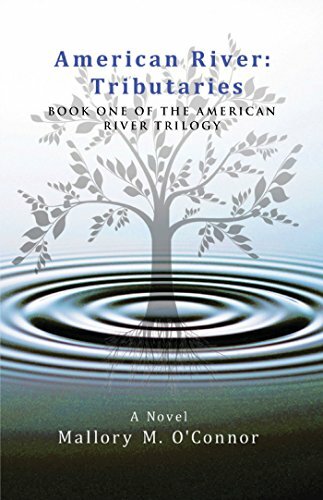 This book follows three families of different cultures that manage to connect. They are all tied to the same area, and while the young adults have mostly wandered off to different regions of the U.S., this story is about them all finding a reason to come home to celebrate life, art, and diversity which gives the story a greater sense of symmetry. O’Connor filled this book with real-life problems such as racism, mental health issues, sickness, and political confrontations. Therefore, this book can be a guide for helping people navigate their way through similar tragedies in their own life. The overall story arc is intricate and well thought out. It is a little unclear where the book is going at first and what the focal point will be, but there are exciting turns everywhere that keep the readers’ attention until the end. Several subplots play out to give the book a lot of depth. On the surface, it seems like the McPhalan family is working through their problems with the ultimate goal of setting up a musical festival on Mockingbird Valley Ranch, the family’s ancestral property. Underneath, O’Connor raises awareness of many social issues. These social issues are picked apart one by one to allow the reader to think through different perspectives regarding them. While set in the 1970’s, the problems the characters face are problems that are prevalent in our society today, potentially making this book a timeless classic. If you did not read the previous books to get familiar with the intricacies of the story you would need to refer to the “Cast of Characters” page at the beginning. The book immerses readers from the start with drama and doesn’t let up until the end, so lacking thorough character introductions early in the story, even though its the last of the series, can detract from the impact of certain events. I highly suggest you read books one and two before confluence. American society, as well as many others around the globe, could drastically benefit from reading this book. While many authors hide a political agenda in their work, it’s often obvious where they stand on controversial issues; O’Connor, on the other hand, hid her feelings on many of the topics, which requires distinct talent. Ultimately, she encourages discussion and introspection through the characters. If it weren’t for some minor language concerns, this book would be well suited in a high school reading curriculum to expose students to the complexity of the world they live in and the core of human nature.